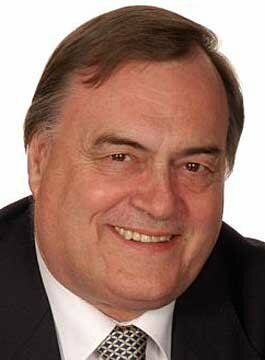 John Prescott (Baron Prescott of Kingston-upon-Hull) is the former Deputy Leader of the Labour Party and UK Deputy Prime Minister. Born in Prestatyn, Wales, he was educated at Ellesmere Port Secondary Modern. At the age of fifteen, he began work as a trainee chef. In 1963, following ten years as a steward in the Merchant Navy, John gained a diploma in Economics and Politics at Ruskin College Oxford. He later went on to gain a BSc in Economics and Economic History at the University of Hull. In 1968, maritime safety motivated John’s decision to work as a full-time official for the National Union of Seamen. He was elected Labour MP for Hull East in 1970. As a result, he held a series of Shadow Cabinet posts, dealing with regional affairs, employment, energy and transport. In 1994 Prescott was elected Deputy Leader of the Labour Party and appointed to the Privy Council. Following the Labour Party’s election in May 1997, John Prescott was appointed Deputy Prime Minister and Secretary of State for Environment, Transport and the Regions. Between 1997 and 2001 John Prescott combined his cross-Governmental role as Deputy Prime Minister. He chaired key Cabinet Committees and representing the Prime Minister at home and abroad. Furthermore, he acted with the full authority of the Prime Minister in overseeing the delivery of the manifesto pledges, as well as dealing with important cross-departmental issues, including social exclusion. After 13 years as Deputy Leader of the Labour Party, John Prescott stepped down from his ministerial position in June 2007. The Rt Hon Lord Prescott delivers keynote speeches on topics such as The Political Landscape and Social Responsibility, Energy & Sustainability. As an after-dinner speaker, Lord Prescott provides an entertaining ‘behind the scenes’ look at the government.